Trying to decide between purchasing or renting decor? Here are a few reasons why you should rent. Looking for your decor can be very time-consuming. There are a limited number of stores in the area to look ex. Michael’s, Dollarama, HomeSense. On the other hand, decor companies have connections to many suppliers. Also, if you are shopping online, you cannot be entirely sure of the colour or quality of items. Plus, waiting for delivery can be quite stressful. 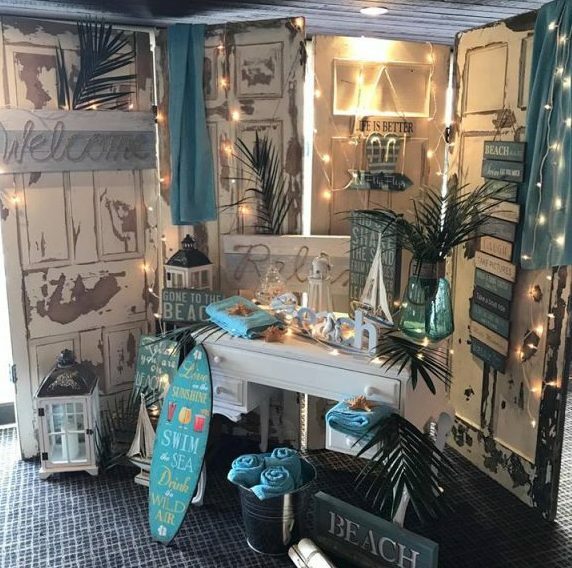 Even if you’re not on a really tight budget, you may not be able to find a deal on decor items you would like for your wedding. 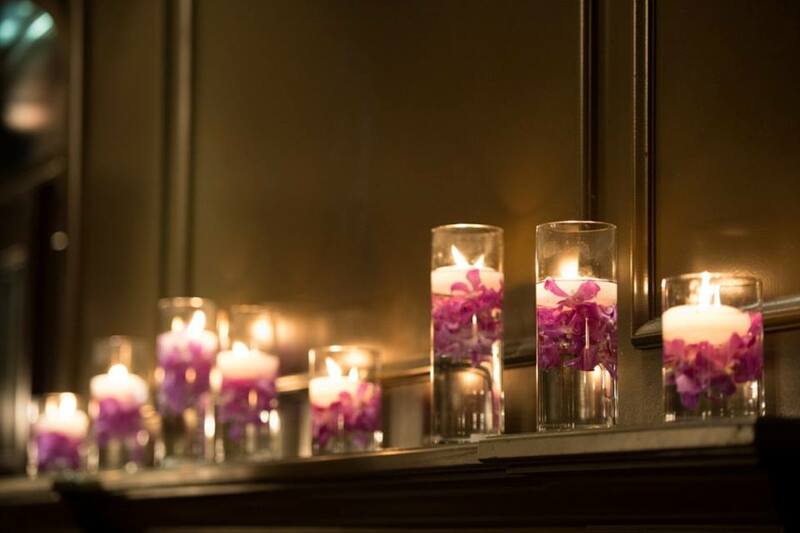 We have a huge variety of rental items: from chiavari chairs to head table lighting to votive candle holders. You do not have to run around the GTA to find décor pieces from several different stores or spend hours on the internet searching. Storing purchased items can be difficult. Renting decor means you don’t have to worry about trying to find a storage location for your décor items. 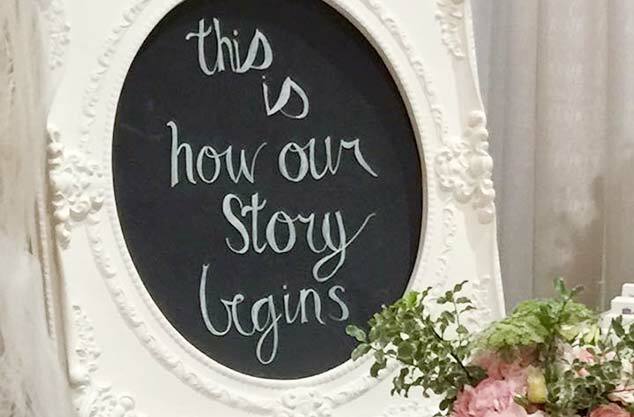 Renting decor items means you are not re-creating the same things others have already created for their wedding. Q. How much are wedding rentals? Here is an idea of the cost for the following I Do Flowers & Decor rental items. Q. 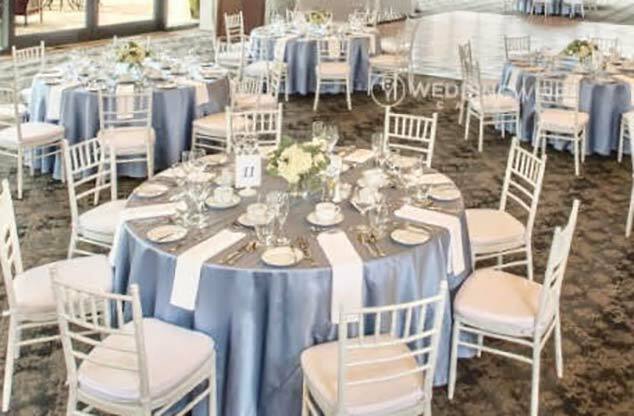 How much is it to rent chiavari chairs? 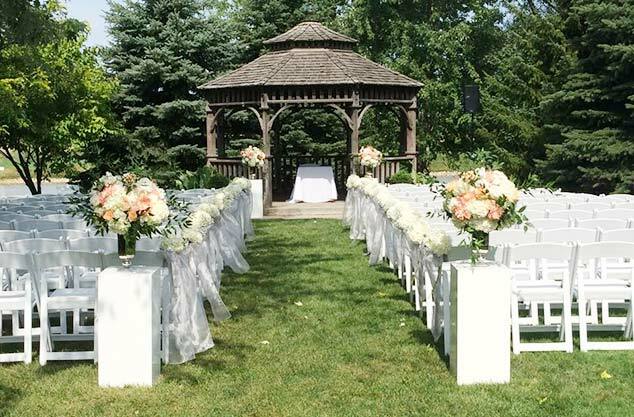 The rental fee includes the set up of chairs with pads and full removal of the chairs after the event is over. If you are comparing pricing, be sure to check to see if the other companies add and remove the chair pads. Many rental companies just just drop the chairs off in stacks and pads in a bag expect to pick the chairs up in a stack with the chair pads removed. Putting chair pads on and taking them off is a time consuming process. We don’t want you to have to worry about this so we include this in our rental price. 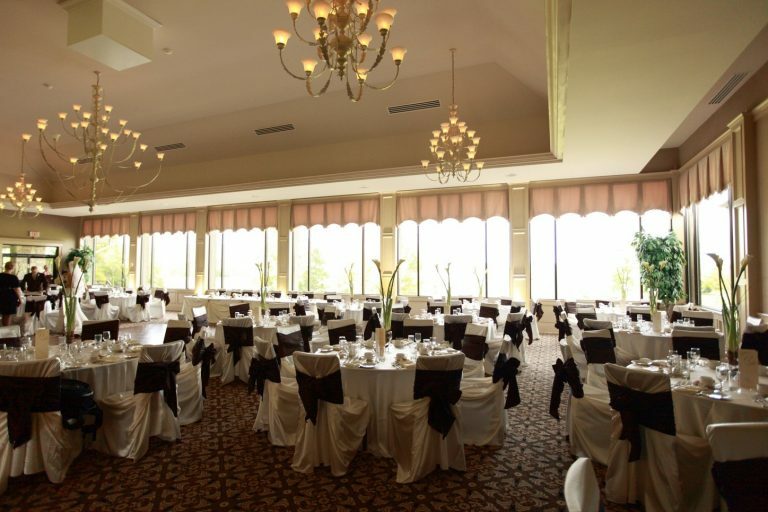 Also, don’t forget to check with your venue to see if they have an additional charge to remove the chairs they have on a day-to-day basis in the banquet room. Q. 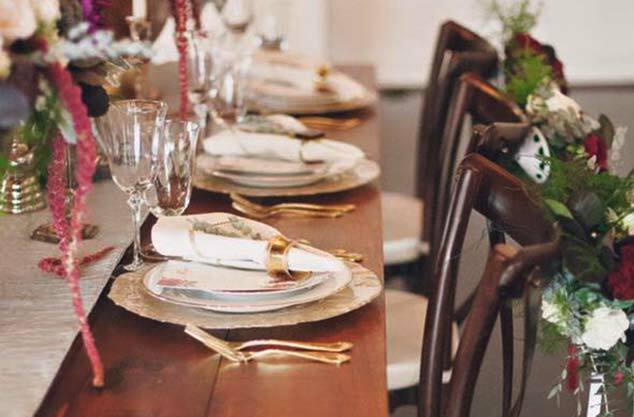 What size is a harvest table? 1. It is wide enough that ten people can sit at the table, all facing each other. You can enjoy dinner conversation with everyone instead of only being able to converse with two people, one on each side of you. 2. If you would prefer sitting on one side facing guests, you will have a lot of space for candles, flowers, and decorations. 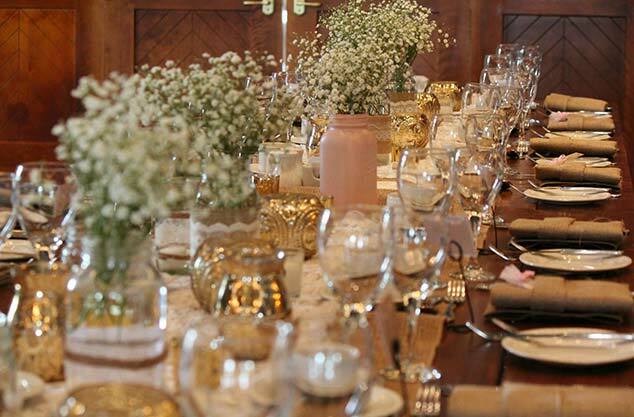 Often, a standard 30″ table isn’t wide enough for a lot of flowers and decor in front of your place settings. 3. Sitting facing your wedding party allows you to have some fun and freedom. You can enjoy your dinner without your guests watching you, and have a nice break from all the photos, words of congratulations and hugs. Besides, who looks great when they eat. 4. It’s a beautiful table and provides more opportunities for amazing photos. Your group will be interacting with each other more, creating beautiful memories. 5. They are beautiful and look great from all angles. They provide a focal point for your guests to enjoy. Q. Can I get just one item or is there a minimum order? There are no minimums to renting; you can rent a single vase or 20 vases. By renting decor items, you will save time plus you won’t have to worry about selling your items on Kijiji afterwards or contributing to landfills. 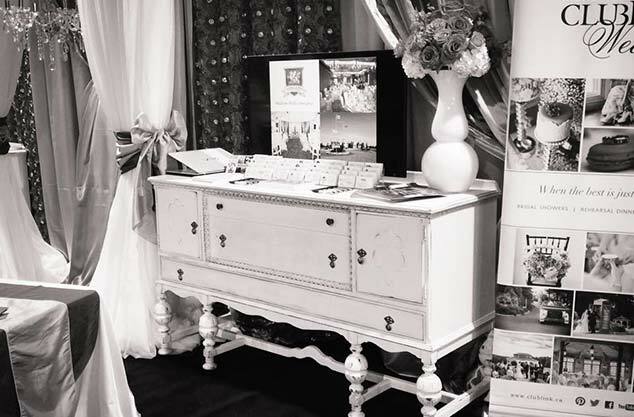 Book an appointment to visit our showroom to see our selection of décor products. 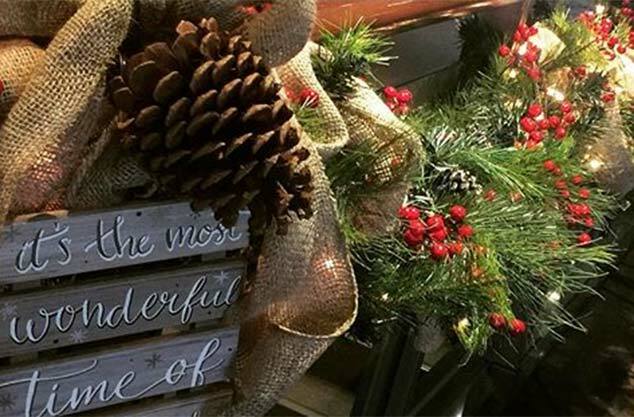 Choose to either pick up and return your event décor or have your items scheduled for delivery and pick up. Q. Do we set it up or do you set it up? All prices include set up at the venue and removal from the venue. Delivery and HST is additional. In some cases, clients want to pick up the items and set them up, and return them. Delivery is an additional charge based on where your venue is located. The cost of delivery is reasonable and is based on how long it takes to gets to the venue, possibly the 407 (depending on location and so we can decrease the time it takes to get there), current pricing in gas, and the number of staff required to set up (1-2).